Use these helpful resources to find us at a local event, learn useful sawing tips, or help us celebrate the accomplishments of our owners throughout our blog, project gallery, and in our exclusive magazine The Wood-Mizer Way. The complete resource for anything and everything Wood-Mizer. Help us celebrate our sawmill owners’ ongoing achievements. Read the latest editions of our exclusive customer magazines. View product videos, customer success stories and more! 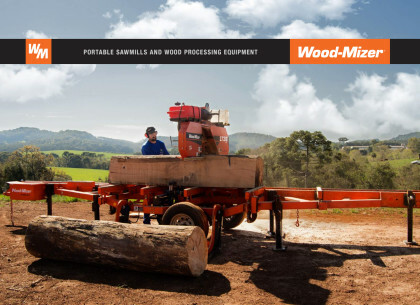 Filled with product information, specifications, and shopping tools, our catalogs will help you find the sawmill equipment that best fits your needs.